Background: Hoby Brenner was truly the first outstanding, complete tight end in franchise history. The solid receiver and devastating blocker made his mark as the Saints became a winner for the first time. He ranks sixth all-time in games played (175) in New Orleans Saints history. He is 11th all-time in receptions with 267 and he ranks eighth in franchise history with 3,849 yards and caught 21 touchdown passes. 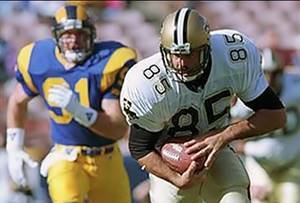 Brenner started all 16 games for the Saints in six different seasons. He had his most productive season as a receiver in 1985, when he caught 42 passes for 652 yards and three touchdowns. He was a tremendous blocker, like having another offensive lineman as he paved the way for the likes of George Rogers, Reuben Mayes and Dalton Hilliard to have big seasons. Brenner was an integral member of four playoff teams, including the first in franchise history in 1987. Greatest Moment: The New Orleans Saints had never had a winning season in 20 seasons. It was the season opener on Sept. 13, 1987 in the Louisiana Superdome as the Saints hosted the highly regarded Cleveland Browns. Brenner caught a pair of touchdown passes from Bobby Hebert, one of five yards in the first quarter for a 7-0 lead and another of 16 yards in the third quarter to give New Orleans a 14-7 lead. Brenner was a huge factor, catching five passes for 68 yards. The game set the tone and the Saints went on to their first winning season ever (12-3) and first playoff appearance in team history. 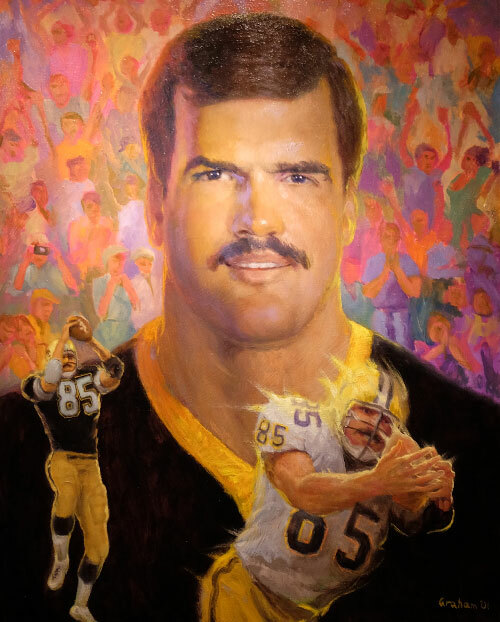 Honors: Brenner was inducted into the Saints Hall of Fame in 2001. He was a Pro Bowl player in 1987.